Control your PC with only your webcam. Manouse uses computer vision technology to map hand gestures to mouse control. One of our team members wanted to make an alternative mouse input to play osu!, a rhythm game, without a mouse. We figured the webcam would be a fun place to start! Manouse is a portmanteau of "manus", the Latin word for hand, and "mouse." Manouse uses computer vision technology to map hand gestures to mouse control. 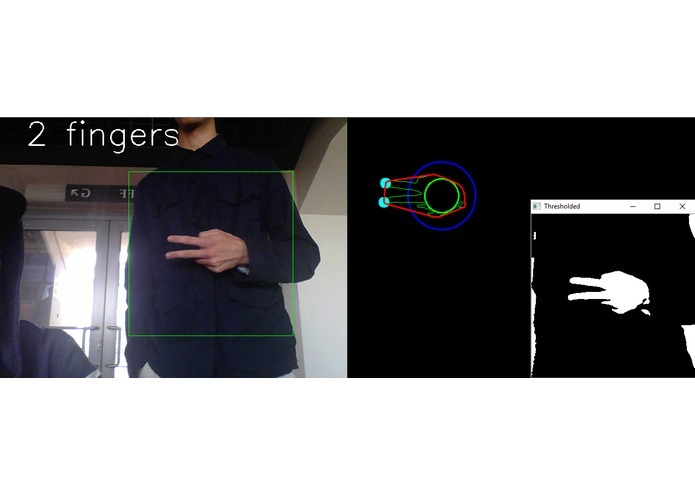 We use OpenCV to create an outline of the hand, find it's position, and count the number of fingers. 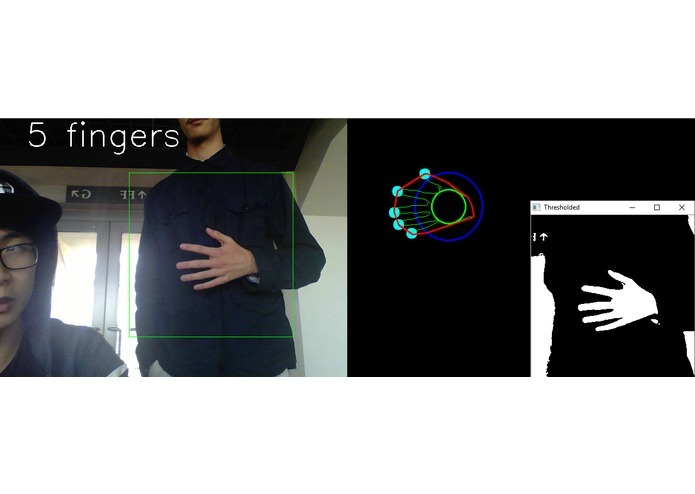 The position and number of fingers data can be mapped to various actions. Currently the position moves the mouse and finger count toggles clicking. We had to filter out faulty readings of the number of fingers, and develop robust algorithms and functionalities to compensate for inaccuracies. We are all first year Cal students, with the majority of us having little to no programming experience before this Fall. We learned how to use OpenCV to process frames captured by a computer's webcam, and using powerful algorithms, resolve meaningful information from the frames. We also learned how to use Python's win32api to control mouse position, mouse movement, and other core PC functionalities. We look forward to expanding it's functionality, making a more friendly user interface, and improving it's hand detection and background filtering solutions. I worked with Rustie on the algorithms that would interpret the images from the webcam -- see his contribution for specifics. I applied our sensor algorithm to create a basic rock, paper, scissors game. The traditional gestures used in the game were recognized by the algorithm and OpenCV was also used to modify and display victory/defeat images. I used Open CV to implement the code to identify and track hand movement and gestures. I also helped Andy with his implementation of Rock, Paper, Scissors. I worked on the function of the mouse, representing it as an object and creating methods to have the mouse move and interact with the screen according to the input from the camera. 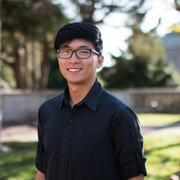 Student at UC Berkeley. Developer and VP of Operations for Blockchain at Berkeley: Consulting.